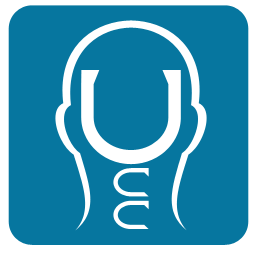 The Upper Cervical Blog: What Do They Do At Upper Cervical Health Centers? What Do They Do At Upper Cervical Health Centers? We are created with the ability to heal and recover from almost anything and adapt to those things that we cannot. We are empowered to seek advice and ultimately make our own decisions about our health! Upper Cervical doctors believe that the best health care is self-care. We should focus our attention on addressing the physical, spiritual, and emotional needs of our bodies on a daily basis. When it comes to living a long and healthy life, very few people will argue that prevention through optimum nutrition and exercise plays a vital role, but the most important component to good health is often overlooked. That component is proper “brain to body communication.” You may have heard this phrase tossed around, but do you really know what it means? The brain stem and nervous system control and coordinate every function in your body – heart rate, breathing, vision, hearing, balance, digestion, muscle tension, posture, emotions, immune function, hormones…literally EVERYTHING! In order to function properly and remain healthy for years to come, you must have 100% “brain to body communication” at all times– 24 hours a day, 7 days a week, 365 days a year! Most people don’t understand that this brain to body communication can be “choked” off by a misalignment within one of the top two bones in the neck. This interference, in addition to decreasing your potential can contribute to a myriad of health conditions…arthritis, asthma, diabetes, digestive disorders, fibromyalgia, ear infections, and the list goes on. Many health conditions can begin with stresses placed on the body, over time, that were never corrected. Poor brain to body communication is an epidemic as prevalent as tooth decay. The International Upper Cervical Institute estimates that by the age of 39, 87% of the population has some degree of interference to the health and healing messages the brain tries to send the body. Despite the fact that this decreased brain to body communication is widespread, public awareness remains limited. It’s time we get “back to the basics,” take control over our own health, and recognize the body’s remarkable, inborn self-healing ability. This is the only way we can truly break the cycle of just treating the disease in this country. If we are waiting for a miracle drug to cure the world’s ailments, it’s not going to happen! We need to be proactive, not reactive, with our health. Doing the things we must to promote health must take precedence over the treatment of disease! Restoring brain to body communication is a step in a better direction. Upper Cervical Health Centers wants to raise awareness of a natural option for health for families and individuals of all ages. Although being proactive and addressing health problems early is always best, it is never too late to start. If you are still breathing, you can improve your health. Most people see remarkable improvement in their health when they incorporate Upper Cervical Care into their lives. Some patients are able to free themselves of long-term health impairments without medication. While Upper Cervical Care has been one of the best kept secrets in healthcare, our patients and doctors are committed to letting the world know about this gentle, non-invasive and natural approach to health! Chronic disease and disability do not have to be the inevitable result of aging. Chronic illnesses develop from a lifetime of stressful factors that interfere with the body’s ability to heal and regenerate. The body is an extraordinary self-healing organism, and a longer life, more free of common diseases and premature aging, is available for those who seek it. Go to the website to learn more about Upper Cervical health care. Watch videos that explain how health conditions that traditional physicians considered incurable have improved and get answers to the most commonly asked questions about Upper Cervical. Upper cervical care can help everyone. Infants to seniors, mothers-to-be, athletes, and accident victims will benefit from a healthy spine and nervous system. If you have a health problem, Upper Cervical doctors will focus on removing interference to proper body function so that the body will be more able to heal itself. If you are symptom free, Upper Cervical care is one of the best ways to stay healthy. Great article, keep spreading the word.